When Jack Horner and the crew from the Museum of the Rockies acquired their mobile lab it was perfect, almost. Previously it had been a government water analysis lab intended to run strictly on generator power. Some of the lab equipment would need to be switched out, but they had another problem. 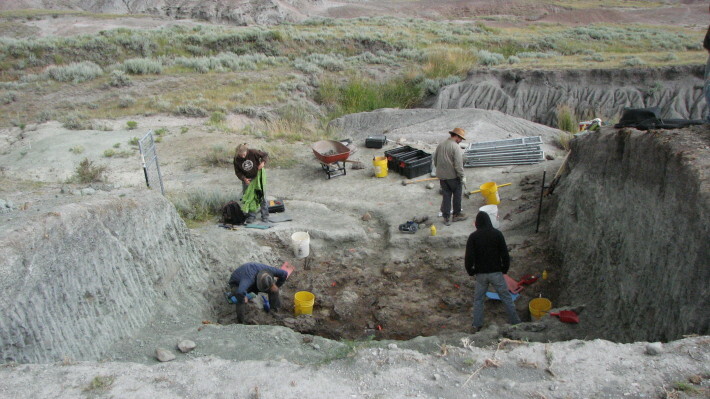 The dig site where this was headed was remote. 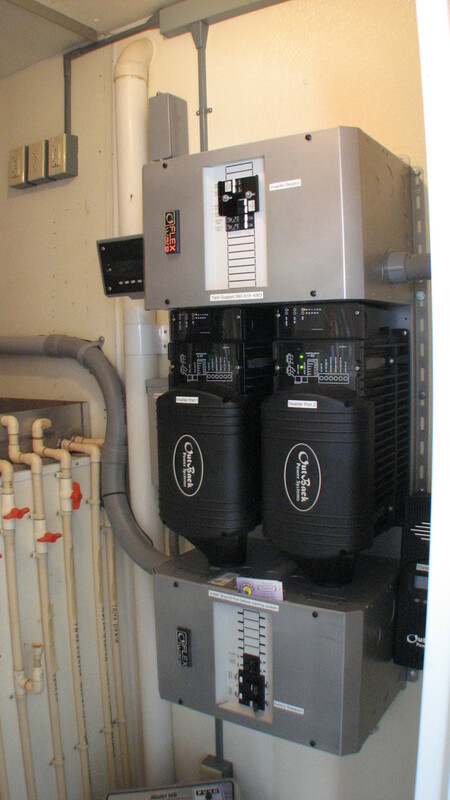 The task of refueling the diesel generator would be difficult and expensive. 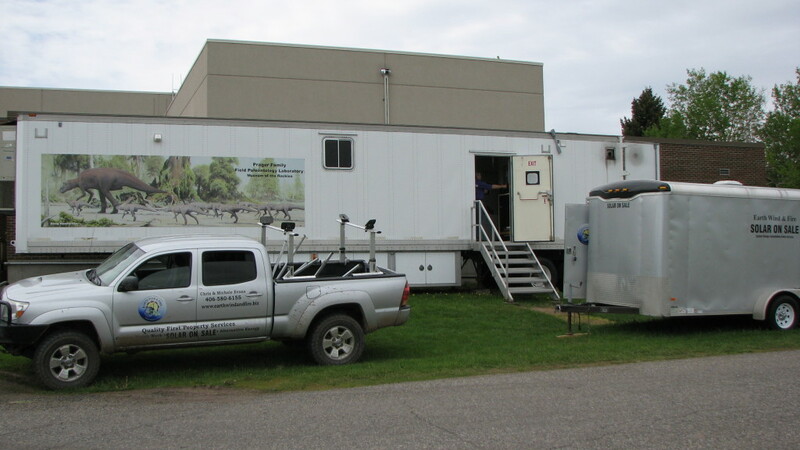 The huge generator running in camp when ever the lab was active was not looked forward to. 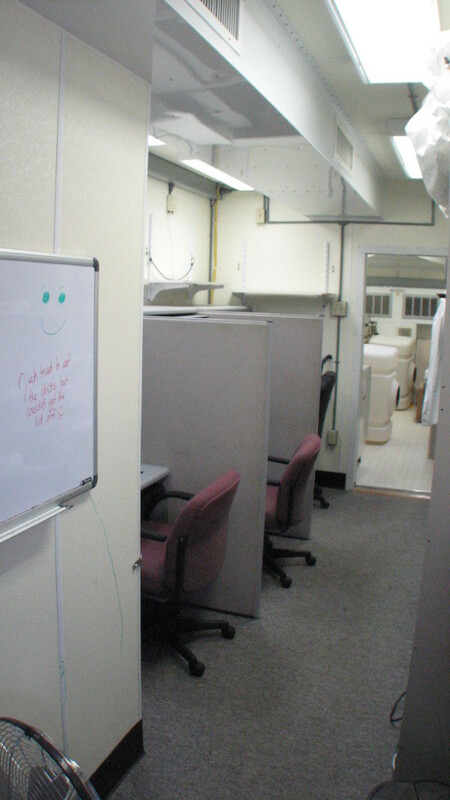 They needed solar to power the mobile field laboratory cleanly and quietly most of the time. 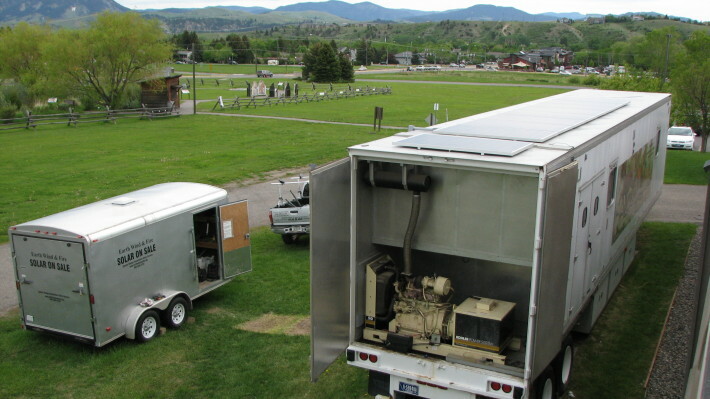 A reserve of power in the batteries would also provides some power and lighting to the volunteers RV’s and campsites after dark. 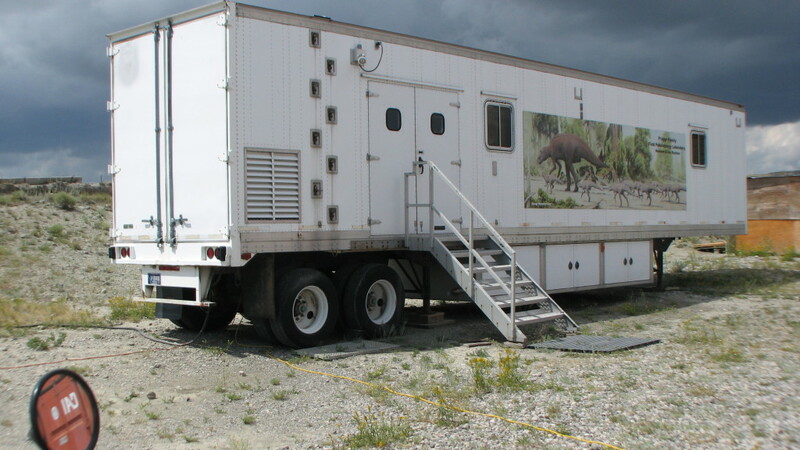 Currently located at the Egg Mountain dig site near Choteau, Montana the lab can be easily moved to any site. If moved back to the museum or other site with grid power available it is capable of being grid tied and feeding power onto the grid. 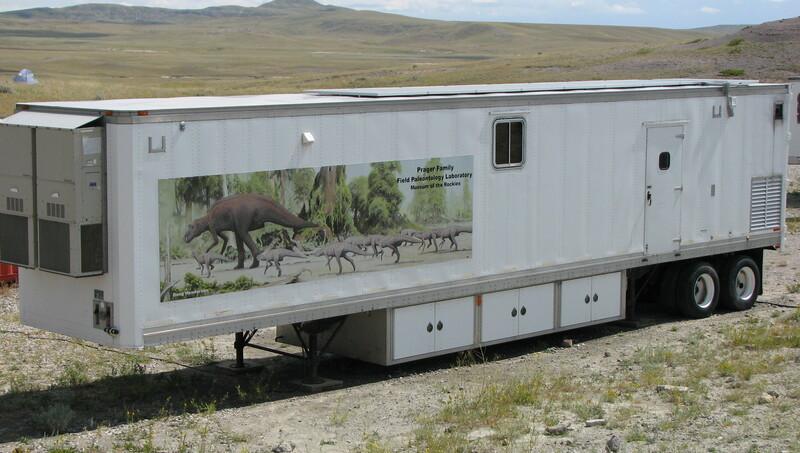 Showcase of one of the largest and most important dinosaur collections in the world. The museum is known for its paleontological collection. Based on the research of paleontologist and adviser to the Jurassic Park films, Dr. Jack Horner, the Museum features T. Rex, Triceratops, Torosaurus, and more. The museum houses the most T.Rex specimens anywhere in the world – currently 13.